Design the next Conimex product inspired by authentic South-East Asian cuisine. Conimex is an authentic Asian brand that provides real and easy to cook South East Asian dishes for Dutch people. The Netherlands have a long history with Asian food coming from the time of the Dutch East Indies, a Dutch colony consisting of what is now Indonesia. 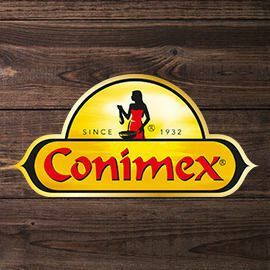 Conimex was the first brand to bring products like Sambal, Ketjap and Prawn Crackers to the Netherlands, making it possible for Dutch people to cook authentic Asian food. In later years, Conimex brought other dishes (with the help of dry herb mixes), new cooking techniques (such as wok cooking) and other formats/cuisines (e.g. wet curry pastes). As a result, Dutch people are now very familiar with dishes like nasi and bami goreng which are traditionally prepared fried rice and noodle dishes! In order to keep consumers excited about Conimex, they are looking for new ideas for easy to cook, real Asian dishes for people who are not experienced cooks. These new products will inspire them to try cooking something new and authentic without spending much time and effort in the kitchen. Can you help? Design the next Conimex food product to help inexperienced cooks prepare interesting and authentic Asian dishes. Participate before May 13, 2018 23:59 UTC.